We often receive calls from clients who get an error message pointing “Failed installation aborted, Result 1603”. To help, I thought I would put this popular topic online to help with your service. If this doesn’t solve your problems, feel free to contact us for any help. Download or print the Whitepaper. When Autodesk released the AutoCAD 2013 based products noted above, many of our customers ran into installation rollbacks. From a suites standpoint, once AutoCAD is installed it will not allow you to install MEP or the other AutoCAD based applications that are now a part of one AutoCAD installation. What that mean is that Autodesk utilities one installation of AutoCAD and other AutoCAD based products are add-ins to that one installation of AutoCAD without it being installed for each flavor such as MEP or Architecture. Note: If you have a thumb drive, you will need to copy the contents from the thumb drive onto the Computer. Go to File > Save. Than close the application. Perform steps 5 through 8 for each application (ACA, MEP, ASD, and Acadm). Finally, run the installer again and the installation should go through smoothly. Contact Synergis Helpdesk if you have any problems. Darin Green is one of our Helpdesk Leads and provides tips and information in our monthly Helpdesk Newsletter. Darin has over 10 years of CAD experience and in his time at Synergis he has provided support for over 700 customers to help them stay ahead. He previously worked with Ritter and Plante Associates where he performed various zoning, project duties, and hands-on field workalong with surveying. Darin has a broad range of experience with many CAD applications including AutoCAD, Revit, AutoCAD Civil 3D, Map 3D, among others. See more on Darin on LinkedIn. Hi, i follow the procedure but i dont have this repertories: Acadm. For all of other repertories is done. i try to lunch setup to my usb data key original product autodestk prenium suite design. And that fail agains. Each time i launche setup. he start a new repertories temp, with temps file for setup. he dont use the files as modificated. Can you help me. Few day before i install autocad 2013 and revit 2013. I activate de licence. Now i desactivated de licence. and i try to install autoccad mep 2013. and i have the same error. Hi Benoit – Do you have the North Americas version? This could be your problem. Contact us at marketingsupport@synergis.com and I will see what we can do to help with your issue. Yes i have north america version for canada. québec. Finaly i un install all my product autodesk 2013 ans dellete all temporaly file. manualy i use ccleaner after. i lunch setup to my usb key drive. i select all production i want. and it’s installed completly. That work perfectly. For any problem just look into the log file that is created from the failed installation and find the reason, when you find it go into the root folder of the disk copy everything to a folder in your computer, then open and edit the “setup.ini” and find the “[GLOBAL_MSI_PROPERTIES]” under this line look for the problem i.e (Install	.NET Framework Runtime 4.0	Failed	Installation aborted, Result=1603) for this problem remove the “NET4;” from the line. 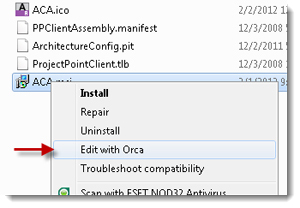 Orka worked for autocad mechanical 2012-64 but it didn’t work for Inventor Pro 2012-64 simply because I didn’t find PreJit lines. Any help will be appreciated on my mail: alsheikh.zeyad@gmail.com. This solution is only for AutoCAD based applications due to the combined installation files associated with basic AutoCAD. Can you email me the log file from your temp directory? 2. Locate the log file which should have the application name. I hope this helps. If you would like to contat us, please email us at events@synergis.com. What about 3D Max? It fails to install. Not dotNET not DirectX but 3D Max itself. 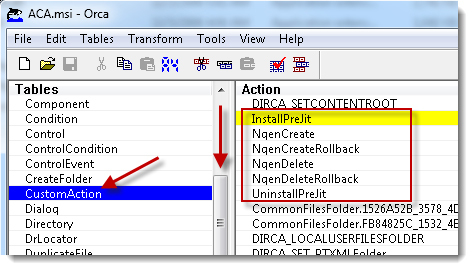 This blog post is only directed towards AutoCAD 2013 based application as stated in the post. If you’re having trouble getting 3DS MAX 2013 installed, you’ll need to review the error logs within the TEMP directory. If you’re trying to install 3DS MAX 2013 on windows 7 or windows 8, you’ll need to uninstall “Microsoft Visual C++ 2008 and 2010 prior to installing because windows 7 & 8 have an updated version that is automatically installed with windows update. This post is for those who install suite products that includes multiple AutoCAD based applications. With the 2013 release, AutoCAD based applications share one common folder C:\Program Files\Autodesk\AutoCAD 2013 and sub folders are created within e.g. MEP, and ACA.